Just the right options for your lifestyle and peace of mind. View transaction history, balances, statements, transfer money and pay bills anytime and anywhere. Put Ozark Bank in the palm of your hand. Check your balance, transfer money, pay bills, and make deposits! Get a quick response to balance and transaction history. In today’s world you can never be too careful. Give yourself peace of mind with these protection plans. You’re in control, secure your debit card today. Make purchases quickly and easily with your favorite apps! Create a personalized Visa Debit Card featuring any photo you choose - loved ones, friends, a pet or a favorite vacation spot — all from the convenience and comfort of your home. Make it yours in just a few minutes! Let us introduce you to a partnership to help you achieve your goals. It’s a privilege for Ozark Bank Checking Account Customers! Contact a personal banker for pricing and availability. Need to order checks? 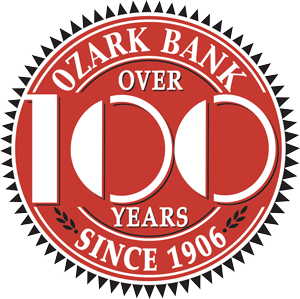 Reorder your Ozark Bank checks online. Replace your printed account statement with more secure, convenient electronic statements. * Visa's Zero Liability Policy covers U.S. issued cards only and does not apply to certain commercial card transactions. You must notify your financial institution immediately of any unauthorized use. For specific restrictions, limitations and other details, please consult your issuer.